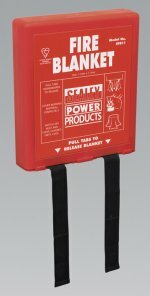 General-purpose disposable fire blanket suitable for use in kitchens, caravans and other similar environments.  Fully accredited to BS EN1869.  Supplied in wall mounting case. Dry powder extinguisher suitable for use on A, B, C Class fires and fires involving live electrical equipment.  Complies with the recommendations of the Royal Yachting Association and requirements of the British Waterways Boat Safety Scheme.  Refillable, supplied with wall mounting bracket and pressure gauge.  Fully accredited to BS EN3 and Kite marked. 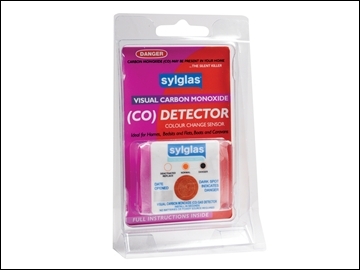  Use in vehicles subject to Carriage of Dangerous Goods (ADR) regulations.  Suitable for use in vehicles subject to Carriage of Dangerous Goods (ADR) regulations with respect to vehicle load where laden weight exceeds 3.5tonnes. 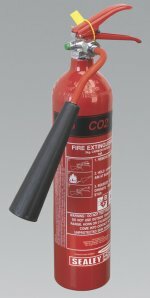 Carbon dioxide extinguisher suitable for use on B Class fires and fires involving live electrical component.  Features lightweight aluminium body and brass valve assembly.  Refillable and supplied with wall mounting bracket. AFFF (aqueous film-forming foam) extinguisher suitable for use on A, B Class fires.  Leak-tested and features polypropylene lined cylinder with brass valve assembly. 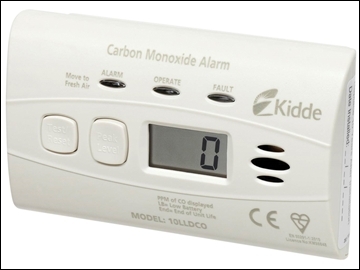 The Kidde Lifesaver 5CO continuously monitors for the presence of deadly Carbon Monoxide (CO) in the home, providing a constant protection against the effects of this deadly gas. The 5CO features two LED's - The red LED illuminates when the alarm has detected CO in the atmosphere and the green LED confirms that DC power is present. The alarm can either be installed on a wall or just placed on a tabletop or shelf for added convenience. It is also ideal for use when on holiday and in rented accommodation. The Lifesaver 5CO features a 7 year sensor life with an end of life warning to replace the unit after seven years protection. 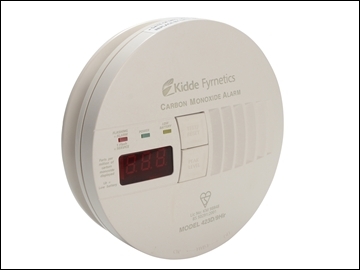 The Kidde KID10LLDCO 10LLDCO Alarm is a sleek, lightweight Carbon Monoxide (CO) alarm with a non-replaceable, sealed-in Lithium battery which provides 10 years of continuous protection, meaning that the battery never needs to be changed for the duration of the alarm's life. The alarm has a digital display which clearly shows the levels of carbon monoxide. A peak level display allows the highest CO level recorded (between 11 - 999ppm) to be displayed. The 10LLDCO has a unique, water-based Kidde CO Electrochemical Sensor. It features a CO 'Quick-Test' feature that allows the alarm to be temporarily desensitised to allow quick testing using approved CO spray. The alarm's interrogation feature allows peak level and test history to be analysed by Kidde upon arrangement. It has 3 LED's - alarm, operate and fault, and an end-of-life warning that alerts the user when to replace the alarm. A test/reset button allows regular testing of the alarm function. This slim, easy-to-use alarm is ideal for use in all living areas and can be installed on the wall, where the digital display can easily be seen, or used free-standing on a table or shelf. It is also conveniently portable, so can be taken away on holidays for added peace of mind. Alarm dimensions: 116 x 72 x 40mm. The 10SCO has a Hush button to temporarily silence nuisance alarms. It also has a test/reset button to allow regular testing of the alarm function. 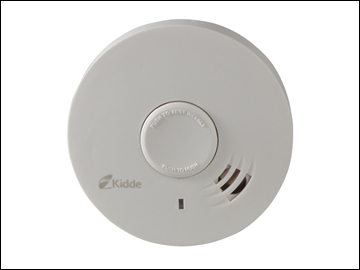 The Kidde 10Y29 Photoelectric Alarm is a state of the art optical smoke alarm, designed for easy installation and a guaranteed 10 years life (no need to change batteries, power source lasts units life-span). Fixings and screws, separate base plate and an Owner's manual. 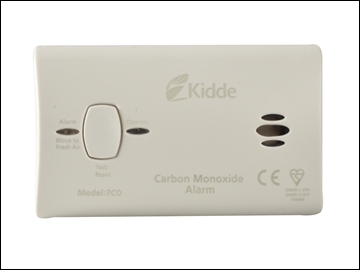 The Kidde KID7COC Carbon Monoxide Alarm continuously monitors for the presence of deadly Carbon Monoxide in the home, providing a constant protection against its effects. The 7CO features two LED's. Red illuminates when the alarm has detected CO in the atmosphere and green confirms that DC power is present. The alarm can either be installed on a wall or just placed on a tabletop or shelf for added convenience. It is also ideal for use when on holiday, in rented accommodation or for use in caravans and boats and complies with the very latest EN50291.2010 standards, Parts 1 & 2 (boats and caravans). Carbon Monoxide (CO) is a silent, invisible, odourless, tasteless gas and is produced by gas or solid fuel, boilers, water heaters etc. This sensor is unobtrusive and can be fitted to either a gas appliance or anywhere in a room to detect deadly carbon monoxide gas. The product lasts for six months once opened. Two per pack providing twelve months peace of mind. If any presence of the gas is detected the central spot darkens. 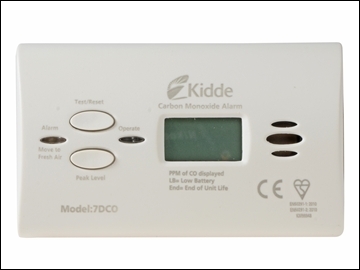 The Kidde KID7DCOC continuously monitors for the presence of deadly Carbon Monoxide in the home providing a constant protection against its effects. As well as twin red and green LED's, the 7DCO features a digital display that continuously displays CO levels detected. The alarm can either be installed on a wall or just placed on a tabletop or shelf for added convenience. It is also ideal for use when on holiday, in rented accommodation, or for use in caravans and boats and complies with the very latest EN50291.2010 standards, Parts 1 & 2 (boats and caravans). 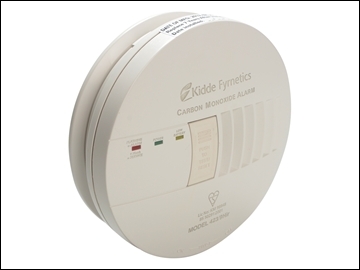 The Kidde 7DCO Carbon Monoxide Alarm features an industry leading 10 year sensor life, meaning it lasts 40% longer than any other CO alarm. The alarm has an end of life warning to replace the unit after ten year's protection. This Kidde Professional Series 230 volt Carbon Monoxide Alarm has a slimline design and a sealed in rechargeable Lithium-Ion battery backup. 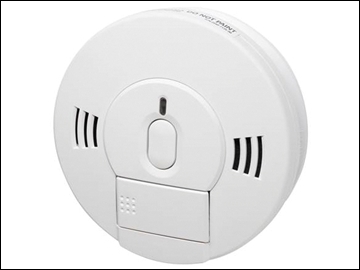 The alarm has a Test/Reset button, and can be interconnected to Kidde K1, K2 & K3 Professional Series mains smoke and heat alarms. Please note: The alarm must be fitted by a qualified electrician. 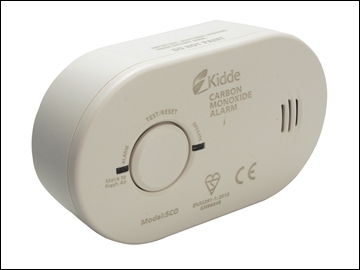 The Kidde Professional Series 230 Volt Carbon Monoxide Alarm has an LCD Display showing the peak level of CO detected. The alarm has a memory to store the peak level and has a sealed-in, rechargeable Lithium-ion battery for backup. The alarm has a Test/Reset button and can be interconnected to Kidde K1, K2 and K3 Professional Series mains smoke and heat alarms. Please note: This alarm must be fitted by a qualified electrician.